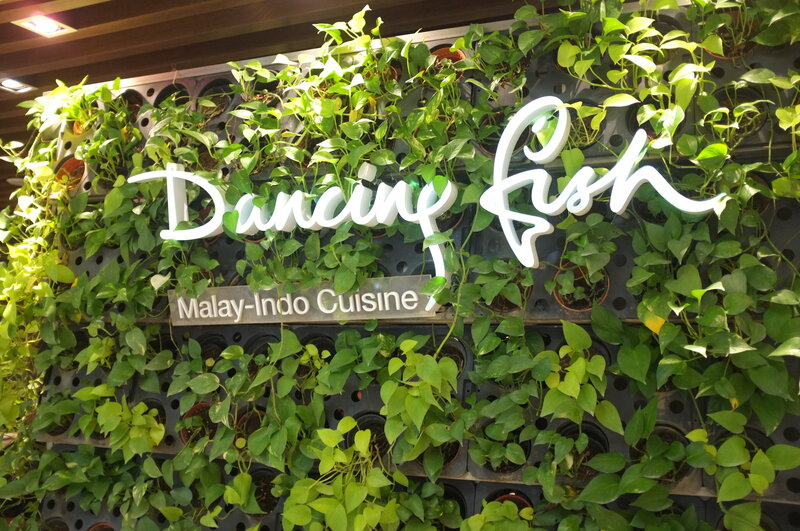 Dancing Fish in Bangsar Shopping Centre offers traditional Indo-Malay cuisine in a modern and refined setting. 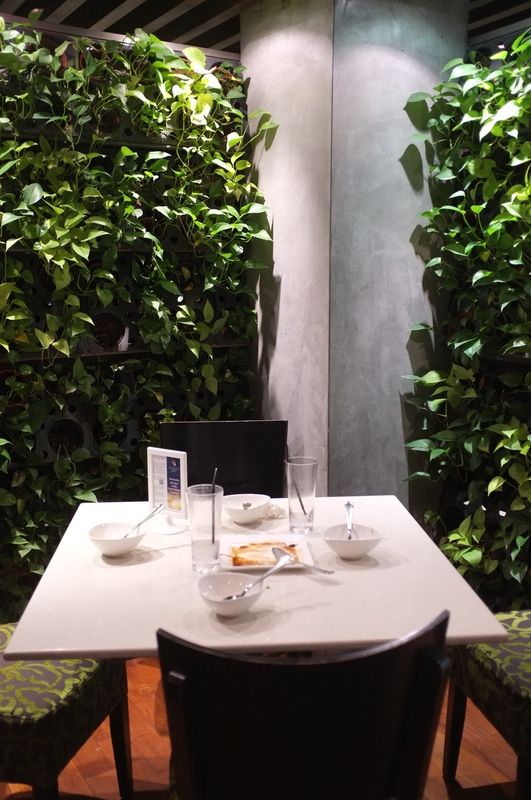 I dined here on a whim; I was actually heading to a different restaurant when I spotted its jungle-inspired walls and vibrant atmosphere, that enticed me through its doors. 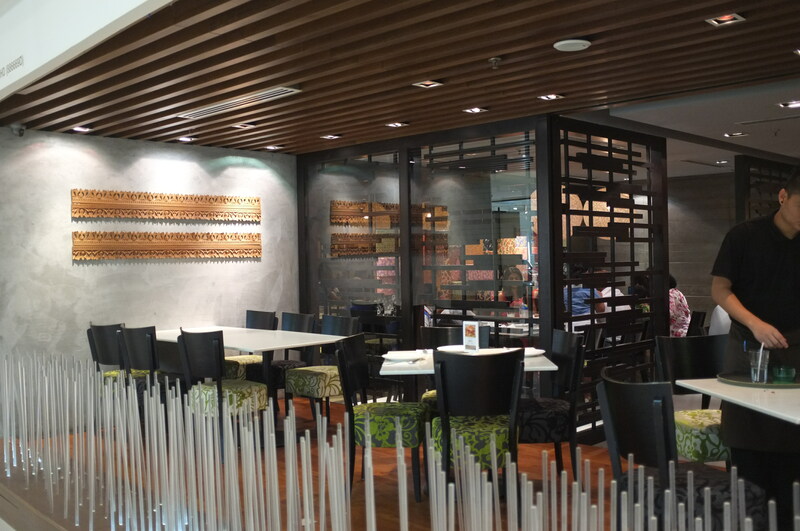 Indonesian inspiration was apparent in the decor, with patterned canvases, hanging lighting globes and silk-covered chairs. 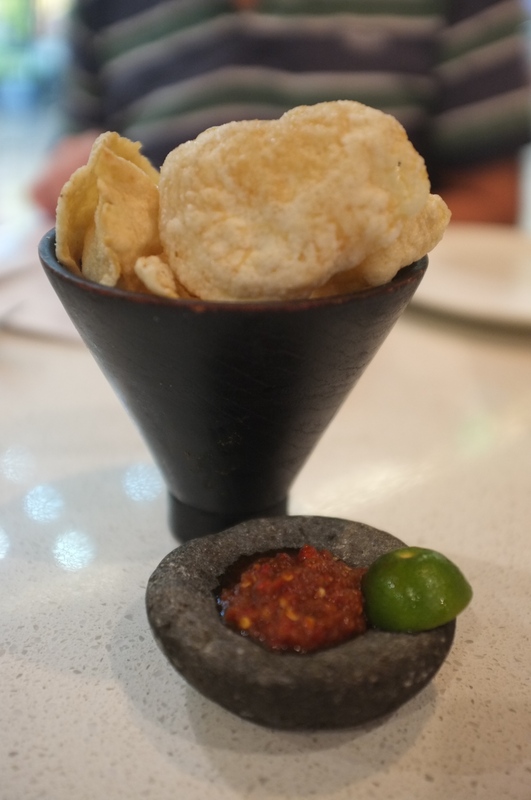 I munched happily on the Emping; Indonesian crackers made from Melinjo nuts, accompanied by spicy Sambal Terasi, made with chillies, garlic, shallots and sprimp paste, while browsing the menu. Little did I know, the crackers weren’t free – luckily they were tasty enough for me to overlook this sneaky addition to the bill. Not wanting to read through the English fine-print to decipher what each dish was on the menu, I turned to the guidance of our friendly and obliging waiter for advice on what to order. He was extremely helpful and patient while I went through almost all of the options and once satisfied with my selection, he left us with a smile to place our order with the kitchen staff. 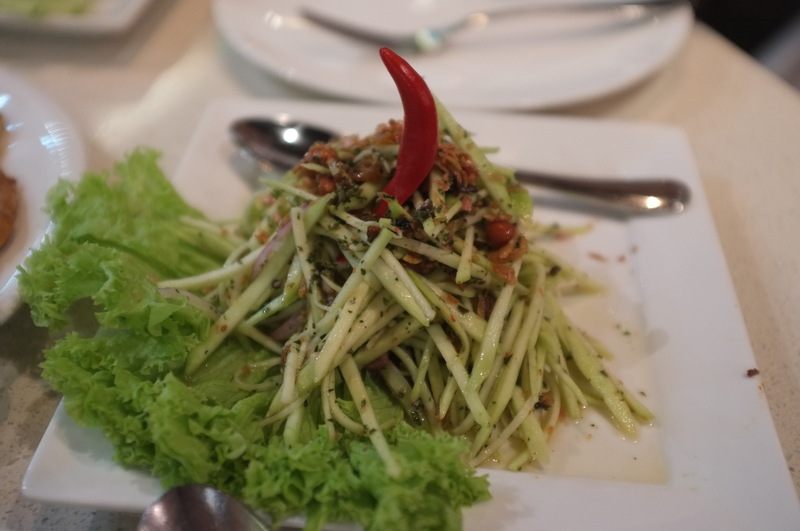 First to the table was the Mango Kerabu; green mango salad with fresh herbs that was bursting with sweet, sour and tangy flavours, tossed in a light and spicy lime dressing. This was shortly followed by the Omelette Kerabu; fluffy yellow egg, slightly crisp on the outside and laced with carrot, onion, and cucumber ribbons. 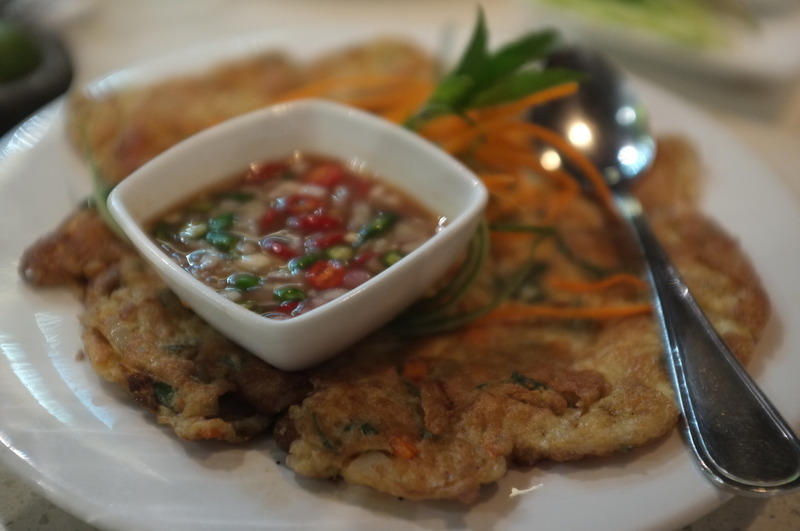 The omelette was served with a sweet-sour-spicy dressing, brimming with green and red chillies that brought the egg to life. 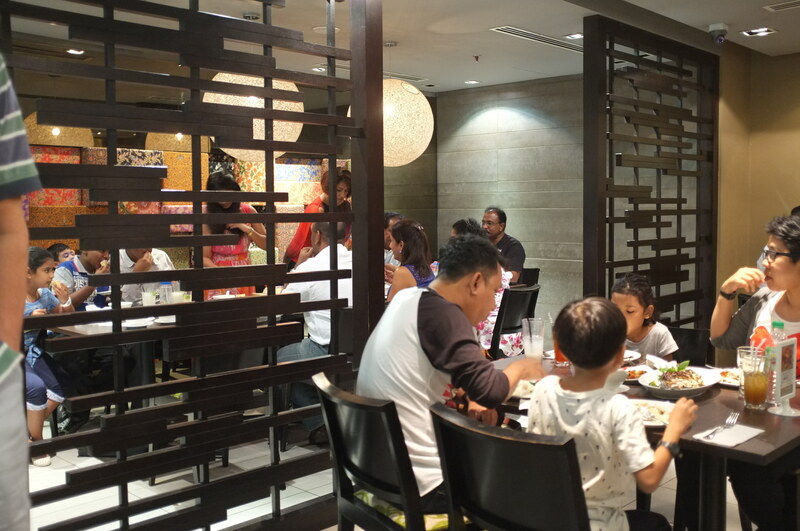 Both these dishes embodied the spirit of Indonesian cuisine with their beautifully balanced flavours. Waiters circulated the restaurant with pots of rice, ready to heap onto diners plates; as much or as little as each person wanted with free top-ups if you fancied a bit more later. The rice had a nice balance of sticky and fluffy and had been cooked with a satisfying bite, rather than boiled into a textureless paste. 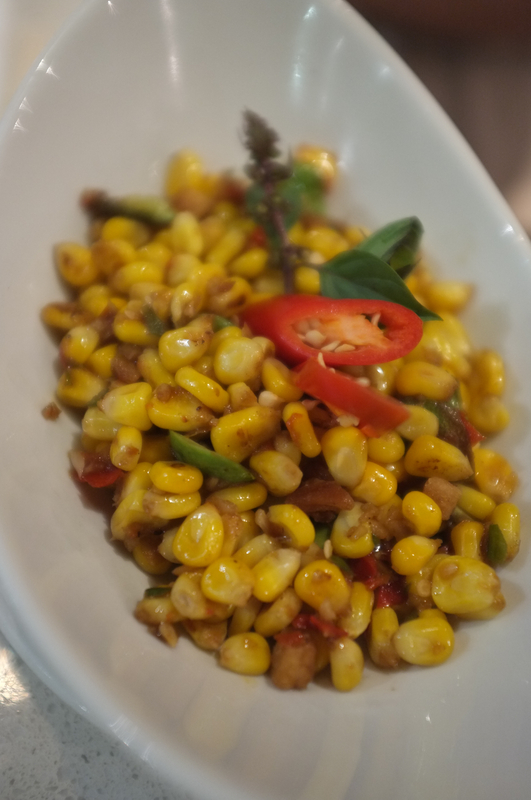 A surprising delight came in the form of the Sambal Petai Sweetcorn; wok tossed sweetcorn mixed with petai beans, shallots and chillies, with a chilli glaze and spiked with nuggets of salted fish – this dish paired nicely with the refreshing salad, providing a richness and smoky flavour from the slightly charred corn. 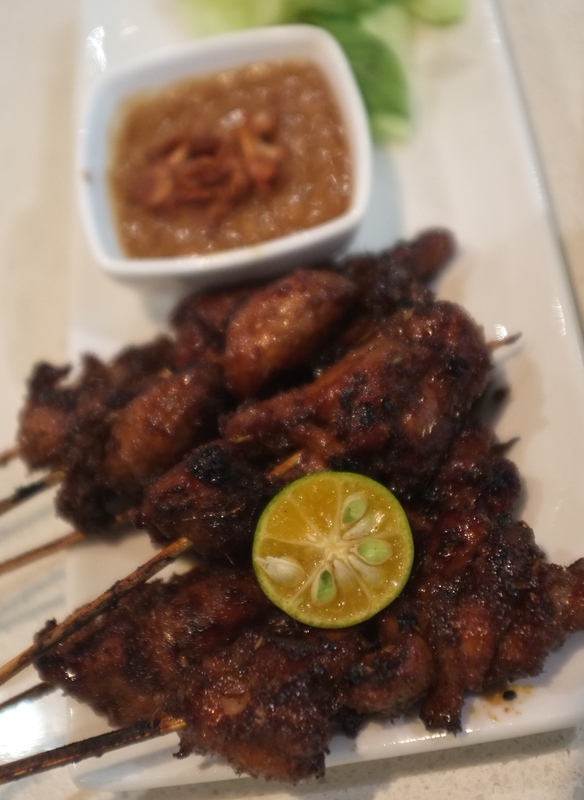 For me, satay is a must-order when visiting an Indonesian eatery. Dancing Fish’s Chicken Satay with spicy peanut sauce and cucumber slices far from disappointed. The chicken was smothered in a thick and glossy glaze, and charred over charcoal to crispy perfection while the meat beneath remained tender and juicy. The spicy, nutty sauce complemented the sweet chicken, while a bite of the cucumber refreshed the palette. This dish was texturally wonderful; crisp cucumber, crunchy sauce and moist meat. Other popular dishes include the Bebek Goreng Bali; crispy duck fragranced with a special mix of Balinese herbs and spices, and, the restaurant’s signature dish from which it took its name; Dancing Fish or Nila Goreng; a special of Tilapia fish, artistically sculpted, fried until crisp and golden and served with Sambal Terasi, soy sauce and a choice of salad. End your meal with a light and refreshing Malaysian classic; Cendol, colourfully layered with shaved ice, green glutinous noodles, sweetcorn, beans, palm sugar and coconut milk.